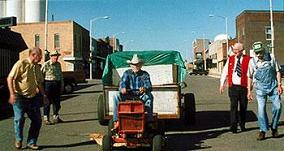 David Lynch's gentlest, most uplifting and joyous film, The Straight Story takes viewers on a truly unusual road trip. 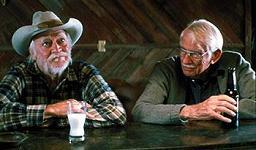 Veteran stuntman turned actor Richard Farnsworth gives a powerful performance as Alvin Straight, an elderly man who is compelled to visit his estranged, ailing brother. The problem is, Alvin can't drive and won't take a bus or train; so naturally, he climbs aboard his ride-along lawnmower to make the lengthy journey. Remarkably, Lynch's film is based on a true story – Straight really did make the 400 mile trip by lawnmower to visit his brother, although he sadly passed away a few years later. It's an uncharacteristically emotional and optimistic story from the director of Blue Velvet and Twin Peaks (although let's not forget Lynch did of course make The Elephant Man); deriving its power not from surrealistic horror but compassion, finding innate decency in the lives of ordinary people. Just as the material was seen as something of a departure for Lynch, so too does the story allow the director's regular composer Angelo Badalamenti the chance to strike out in more beautifully melodic areas. Badalamenti's association with Lynch stretches all the way back to the seminal Blue Velvet in 1986. The composer's deceptively lush song "Mysteries of Love" played in ironic juxtaposition to the film's depiction of festering suburban horror, and since then Badalamenti has expertly articulated the dark desires of the director. From the famous, repetitive synths of Twin Peaks (1990) to the blurring of music and sound design in Mulholland Dr. (2001), it's an acclaimed, long-standing partnership, one that has yielded many unnerving scores. But there's nothing unnerving about the score for The Straight Story. Instead, it's a charming, homely and utterly beautiful work, one resplendent in the sounds of rural Americana. It evokes images of rolling cornfields, roadside diners, campfire meals and much more besides. The score's first track, "Laurens Iowa", although recognisably Badalamenti in its ethereal synth tones, is actually atypical when placed alongside the rest of the music, most of which revolves around a low-key ensemble of fiddles and acoustic guitars. Nevertheless, it's a haunting and enveloping start, lending a sense of mystique to Alvin's story. When combined with the film's breathtaking opening aerial shots of the rustic Iowa cornfields, it casts an especially powerful spell. Badalamenti then introduces what may be deemed as the main theme – "Rose's Theme", a deeply affecting and heart-rendingly lovely piece for solo guitar. Although aligned with the character of Alvin's handicapped daughter Rose (played by Sissy Spacek), the track's air of melancholy can be extended to all of the characters in the film, carrying a sense of unresolved regrets. Sticking with the guitar-led theme, the next track "Laurens Walking" is a livelier piece, introducing bluegrass fiddles into the mix and evoking a sense of a close-knit community getting ready for the day's duties. "Alvin's Theme" again leans on the bluegrass fiddles to reflect the wholesome, all-American nature of the central character. Cleverly, it moves more deliberately than the "Laurens Walking" track, really giving a sense of the snail's pace at which Alvin is forced to move. The fiddle eventually gains more of a sense of fluidity, beautifully reflecting the landscape through which Alvin travels. "Rose's Theme" is a mainstay in tracks such as "Sprinkler" and "Variation", with especially moving renditions in "Crystal" and "Final Miles" (the latter as Alvin approaches the reconciliation with his brother). The track also gets another wonderfully evocative, somewhat more hopeful twist in "Country Theme". "Country Waltz", as its name suggests, moves in a charming triple-time guitar movement that suggests the rhythms of rural American life. It's yet another richly textured piece. Towards the end of the score, more familiar Badalementi hallmarks emerge in "Nostalgia", which sees the opening synth theme emerge from beneath the crackly sound of an old gramophone record; and "Farmland Tour", with its Twin Peaks-esque mix of keyboard and synths. Those fond of "Laura Palmer's Theme" from the cult TV show are in for a treat. "Montage" then wraps up all of the score's principal ideas, beginning with some brooding synth work before continuing with the themes for Rose and Alvin and ending with the synth piece, bookending the score and bringing the journey to a moving conclusion. If the film The Straight Story unexpectedly allows David Lynch's tender side to flourish, then exactly the same can be said of Angelo Badalementi's score. Justly acclaimed for having gone over to the dark side for much of his musical career, with this soundtrack, Badalementi demonstrates a real gift for lyricism and beauty. It's easily the most accessible of the composer's scores for Lynch, a delicately crafted and gorgeous meditation on human nature and decency. 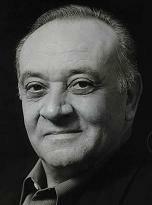 What's really impressive is how much mileage the composer gets out of his intimate ensemble; just as Alvin Straight's journey continually surprises through its endless procession of characters and sights, so too does Badalamenti keep the music fresh and engaging by circulating around a core of exquisitely beautiful ideas. 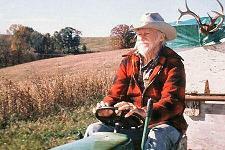 Powered by a big heart and innate sense of compassion, The Straight Story is undoubtedly one of this fine composer's greatest scores. 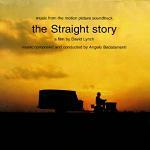 The soundtrack CD for The Straight Story is available at these links: Amazon.co.uk or Amazon.com.